We all dream of a successful launch - be it for the freebie you're giving away, the new social media account you just created, or the new website and course you've been working so hard for! 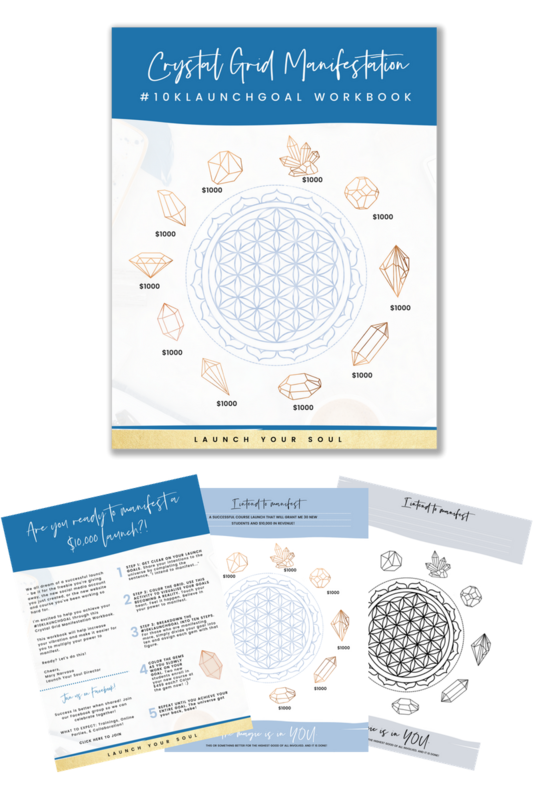 This Crystal Grid Manifestation Workbook aims to increase your vibration and make it easier for you to multiply your power to manifest so you can easily achieve a $10,000 LAUNCH or MORE! You agree to be added to the Launch Your Soul mailing list to receive updates on new FREE resources, offers, and other marketing materials.